The Equisafety LED Flashing Attachment is a hi viz reflective strip which can be attached to bridles, head collars, belts, dog collars, school bags, bikes, clothing and much more. 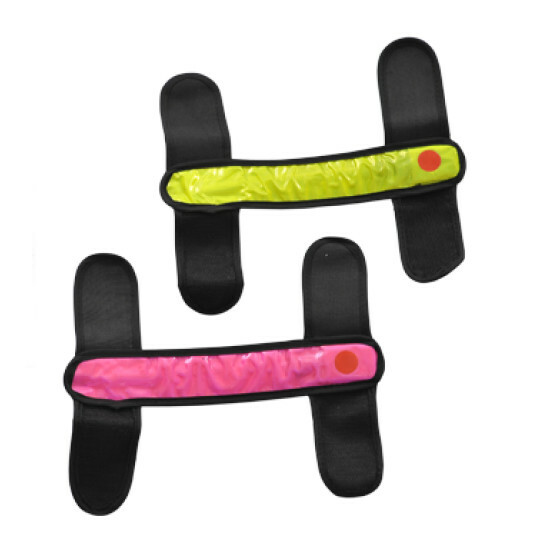 Great for side and front horse riding protection, the hi viz strip can be easily wiped clean. It has an on/off switch and the batteries are replaceable. Can fit onto up to 2 inch wide strips. There are currently no questions for Equisafety LED Flashing Attachment - be the first to ask one!